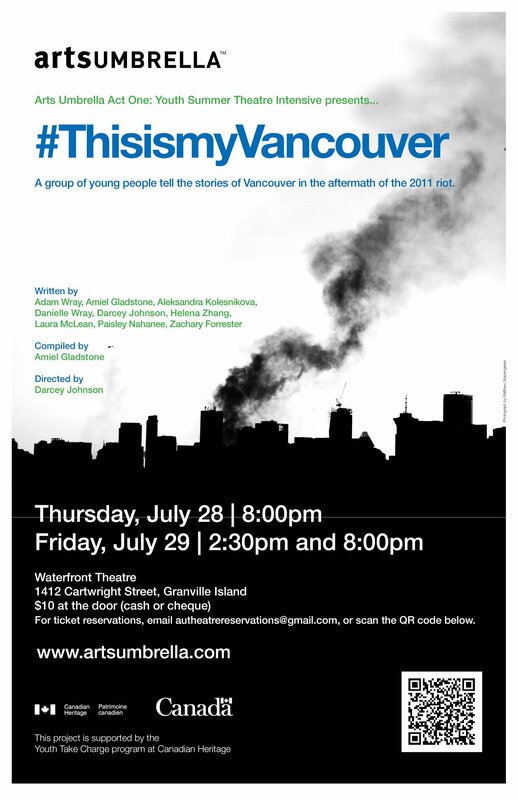 I worked with some youngsters, ok teenagers, at Arts Umbrella to develop a piece about Vancouver right now, and specifically the riot. They are a dedicated talented bunch, directed by Darcey Johnson, and I’m looking forward to seeing how it turns out. I took the group’s writing and research into the riot, and created a big stew of what went down on June 15, 2011 and what it might mean to all of us. It’s one of things that I really like about theatre: we can respond quickly to current events. And another thing that’s cool? It has a cop car on stage. That’s right. Here’s a Globe and Mail article. Will be on CBC radio’s On the Coast at 5:50pm today to chat more about this. Previous Previous post: Jessie Awards 2011.